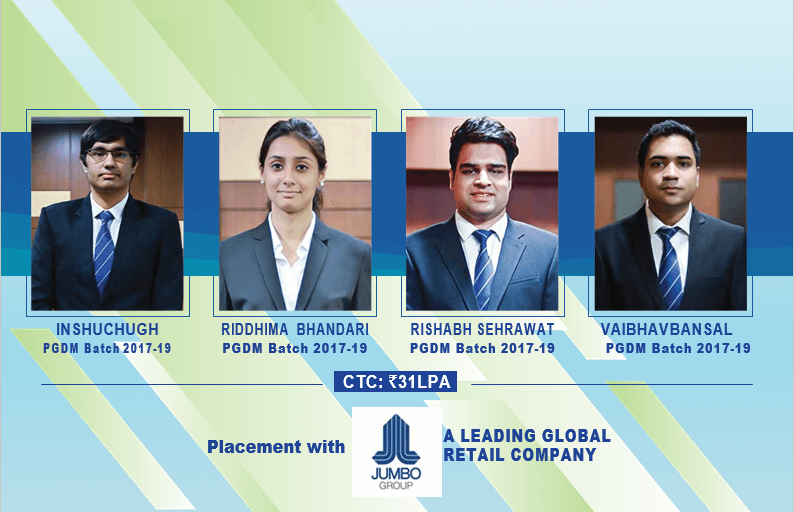 FORE School of Management successfully concluded the Final Placement process for its largest ever batch of 2017-19 in record time, with new corporate partners associating with the institution, reinstating the faith of the corporate in the institution. Final Placements this year were both faster and better, which was manifested in a higher median CTC and multiple job offers for students. Apart from higher salary packages, there has been an improvement in diversity of recruiters as well. In terms of industry sectors, BFSI made up 38% of the total offers, followed by IT/ITES making 22% of the offers whereas MR & Consulting and FMCG/FMCD made up 12% and 13% of the offers respectively.